It’s January and the most popular time for the Master Cleanse. 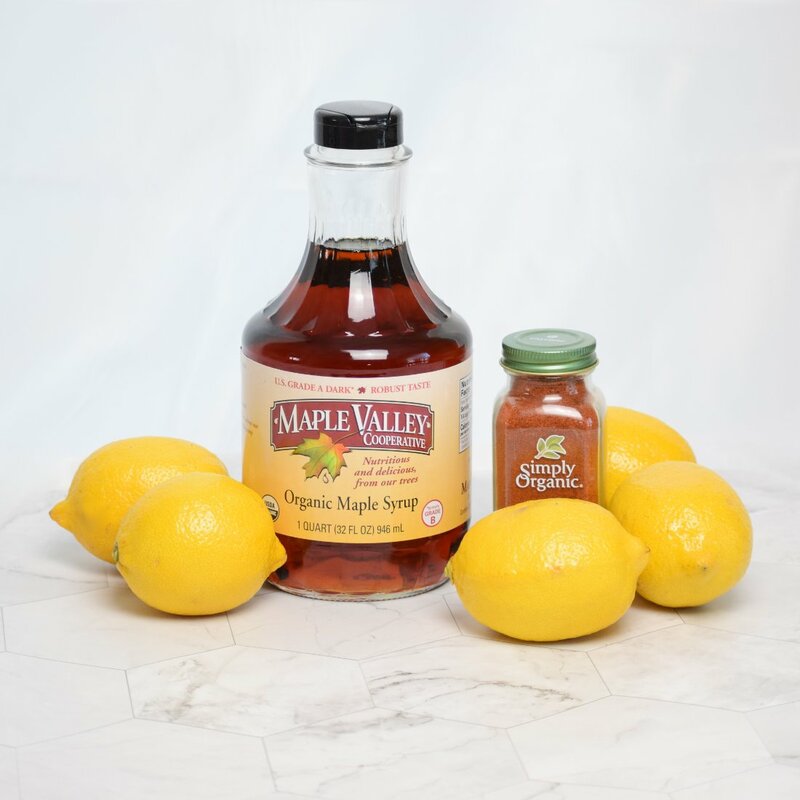 It was with that thought in mind that employee Alex decided to make our ever-popular Cleansing Maple Lemonade for this week’s Recipe of the Week edition. Just about everyone here has enjoyed this lemonade, either as part of the Master Cleanse, a refreshing summer drink, or as a daily morning wake-up call. There’s nothing more refreshing than a tall glass of freshly squeezed spicy lemonade. Read on to see how to make your own! Hello friends! It’s time for another Recipe of the Week. 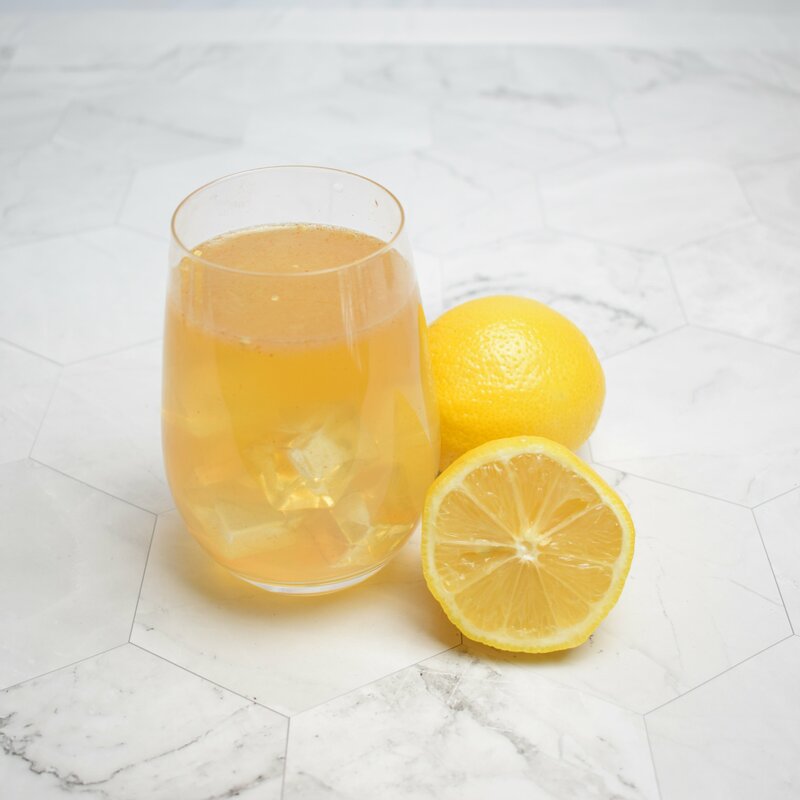 This one is the staple recipe for the Master Cleanse and has been around for 77 years. The simplicity of the recipe and it’s delicious flavor is likely the reason it has been so successful. Let’s dive in! You won’t need much for ingredients. If you are making this for a cleanse, the recommended maple syrup is Maple Valley’s Dark & Robust syrup. This was previously called “grade B” syrup. In The Master Cleanser, Stanley Burroughs states “All grades can be used in the diet but the darker grades are more desirable. The grading system is based purely on the relative deepness of the amber coloring and has nothing to do with the quality of the syrup, which is generally about the same for all organically produced maple syrup.” You will also need organic lemons (or limes), cayenne powder, and room temperature filtered or spring water. If you are just making this as a morning drink or refreshing beverage, you can use cold water instead. 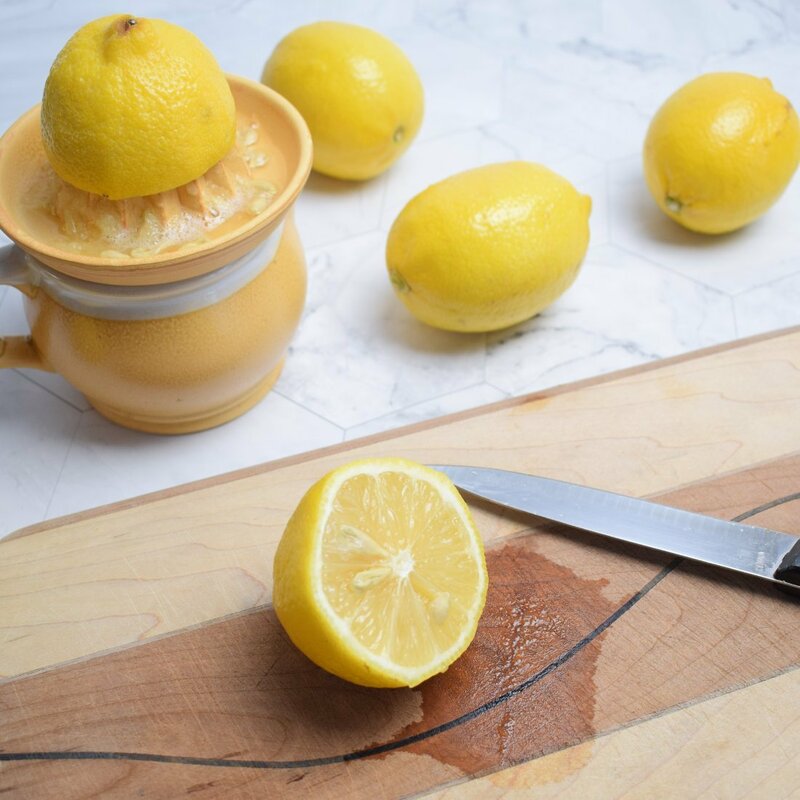 You will want to start with 2 Tbsp of freshly squeezed lemon juice. The Master Cleanser by Stanley Burroughs states you should use “fresh lemons or limes only, never canned lemon or lime juice nor frozen lemonade or frozen juice. Use organic lemons when possible”. 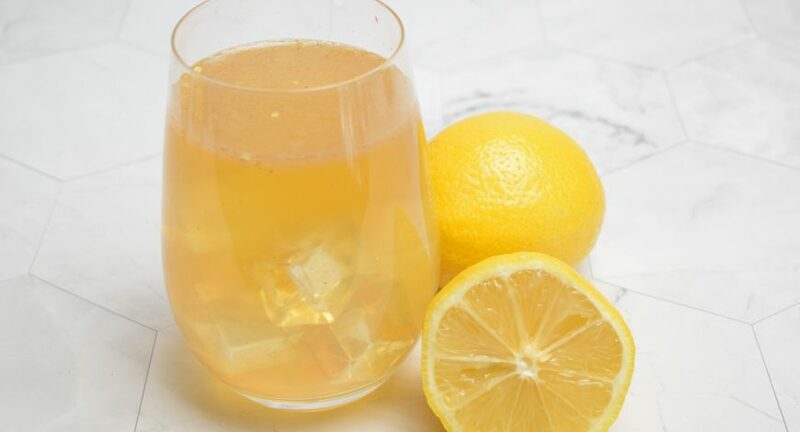 However, if you are just making this as a refreshing beverage, you can use whatever type of lemon juice works for you. I made it by the book this time so fresh lemons it was. I found that one lemon made just the right amount of juice. After that, the recipe is pretty simple, just add your 2 Tbsp of Maple Valley Dark & Robust maple syrup, 1/10 tsp of cayenne pepper (optional), and 8 oz water. Combine ingredients and consume immediately. *To do the Master Cleanse, consult a book for instructions & your doctor for medical advice.